Interview with Tom Kriger, Provost and Vice President for Academic Affairs for the National Labor College (affiliated with the AFL CIO). Interview with LaRee DeFreece from HOK, on cap and trade policy and it's impact on the building industry. 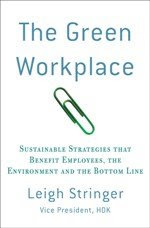 Interview with Sprint's Alicia Martin, discussing how Sprint is greening their workplace and their products.